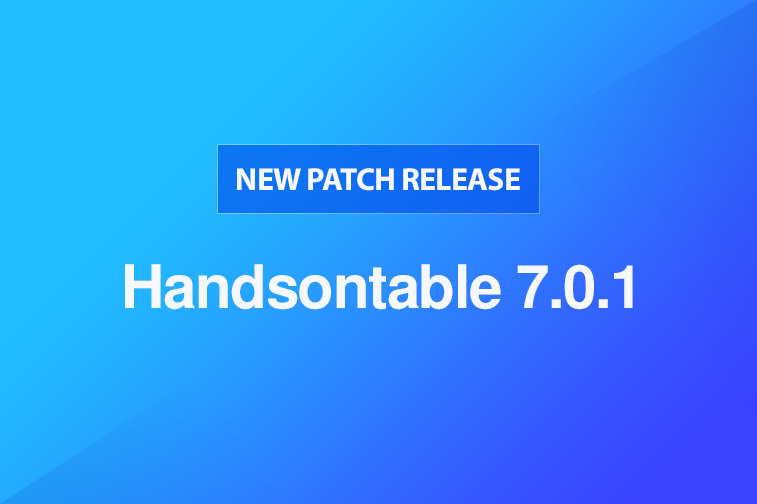 Today we’ve released version 7.0.1 of Handsontable. In this patch update we’ve fixed a couple bugs related to the usage of the CSS transform property and have also added support for passive event listeners. Check out the rest of the changes below.